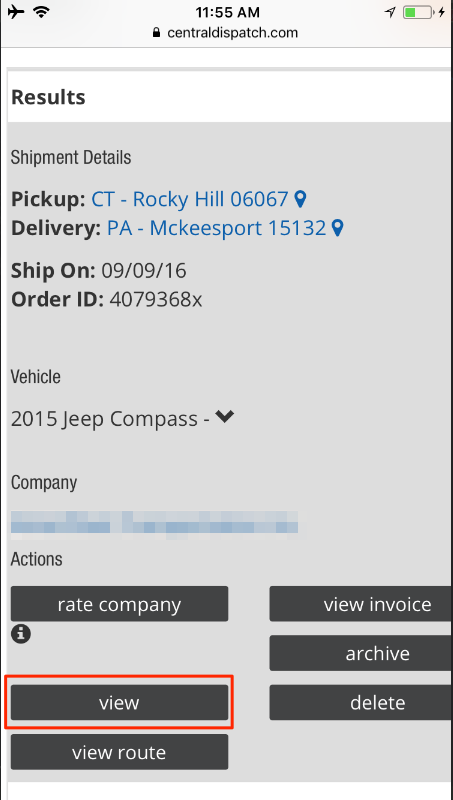 No more tedious manual order entry. Import your orders directly from Central Dispatch and all major Brokers! Video and text instructions below. For iOS users, please follow these step by step instructions. 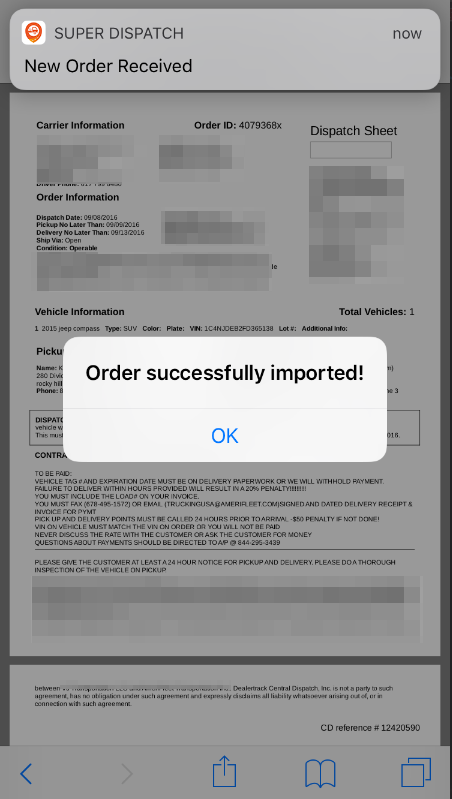 We will demonstrate how to import from Central Dispatch (the steps are the same for all other broker dispatch sheets as well once you have the PDF opened.) Screenshots of the steps are below! 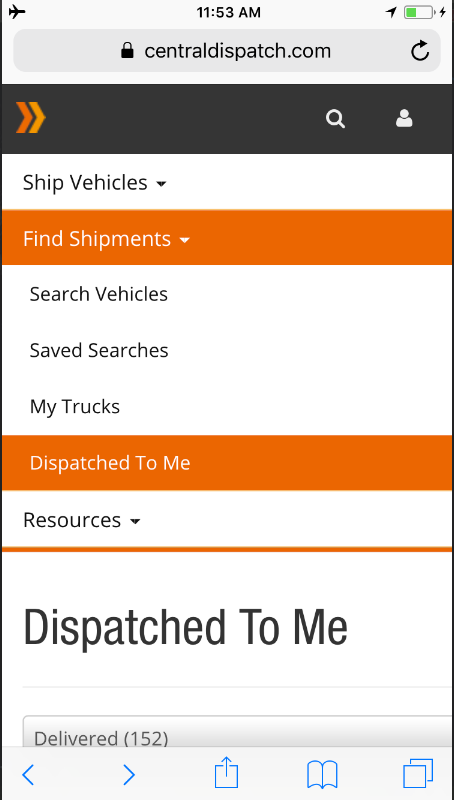 First, you will log into your Central Dispatch account using the same device you are signed into Super Dispatch. Go to Find Shipments → Dispatched To Me. 2. 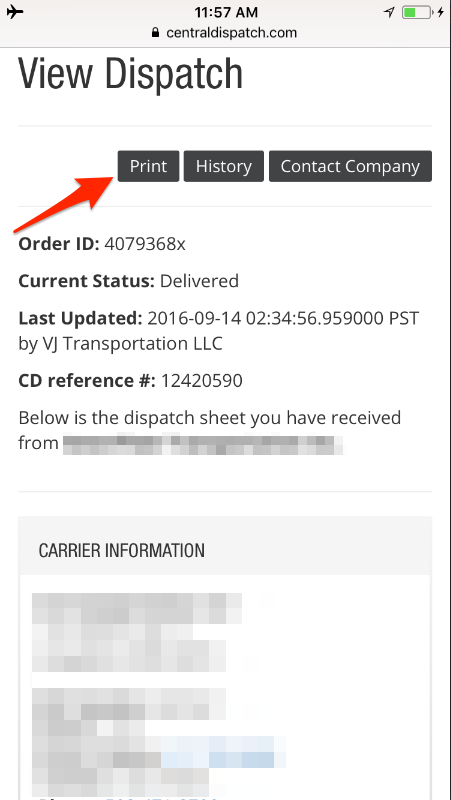 Find a load you would like to import and click the black View button to print the load. 3. Click on the Print button to begin import process. 4. When you click on the Print, the PDF file will be opened in a new tab. Click to the Share icon. 3. 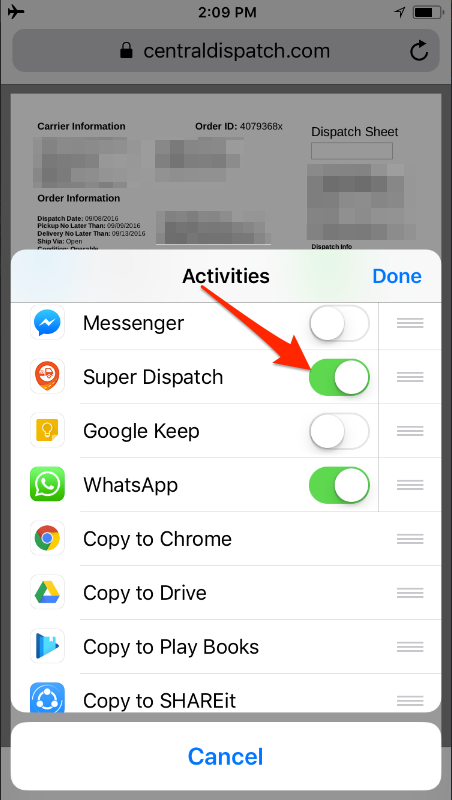 Add Super Dispatch to the application list by hitting "More" and turning the toggle on for Super Dispatch. 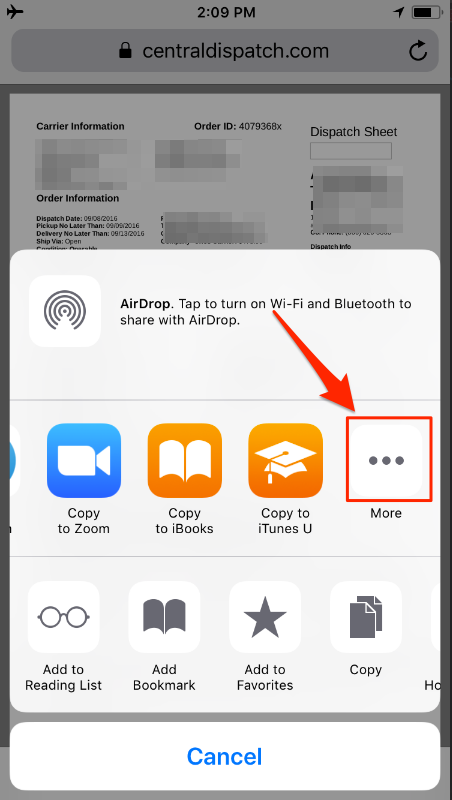 If you already added it it will be displayed on Share extension. 5. 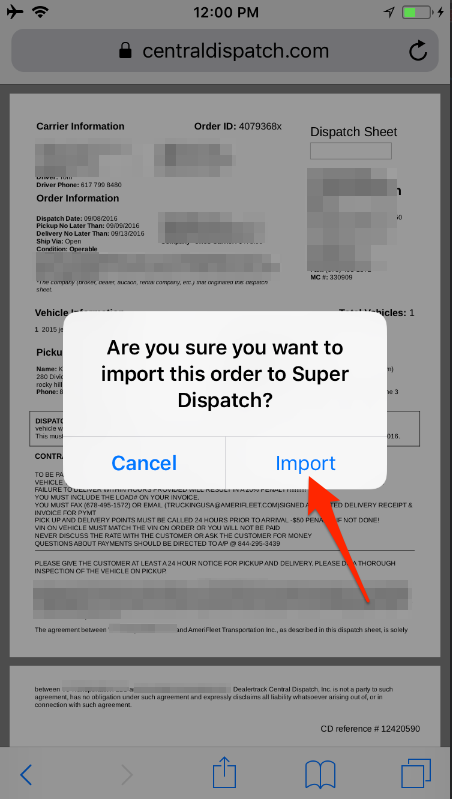 Select Import to import the load to Super Dispatch. 7. 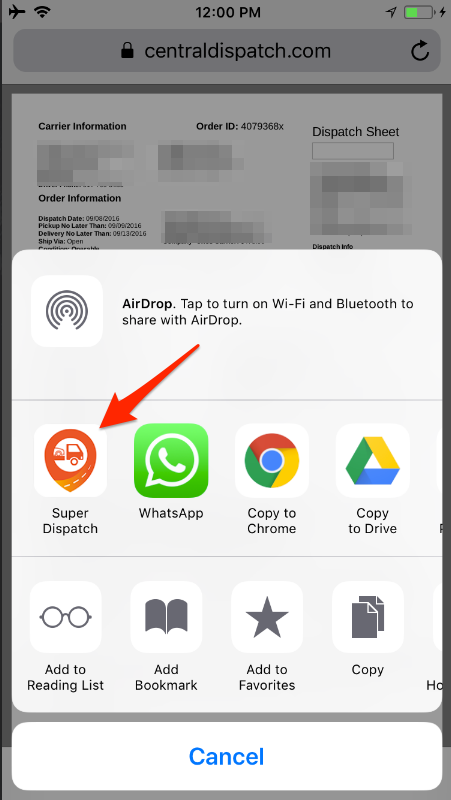 Open up Super Dispatch App, and find your newly imported order from the list! 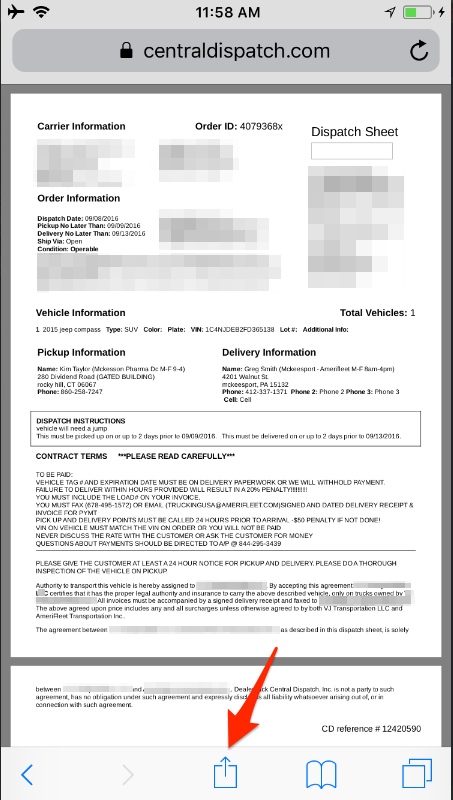 After you import an order, you are ready to Start a Vehicle Inspection. 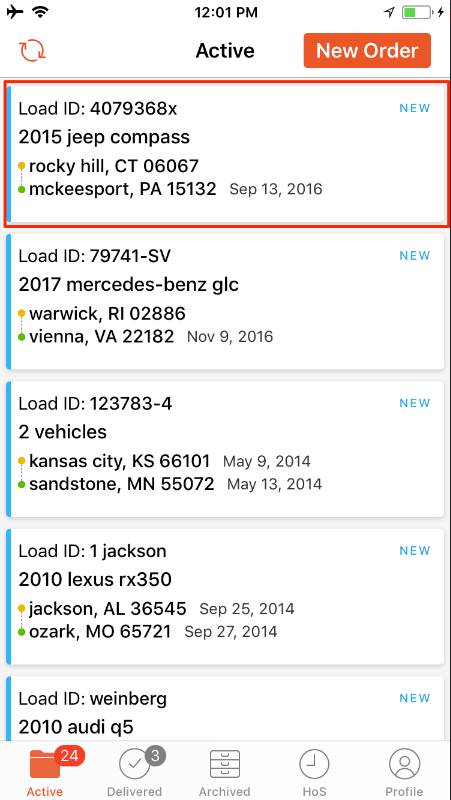 All other third party PDF dispatch sheets will need to be manually entered.